HTC One SV Launched in London – What to Expect? You are here: Home / HTC / HTC One SV Launched in London – What to Expect? HTC has recently rolled out their latest phone in the market. They have codenamed it as “HTC One SV”. HTC One SV was launched in London and since its launch it has been in demand from the users across the globe. HTC One SV has got a nice size and its connectivity features are perhaps best in the class. HTC One SV is the latest in the series of phone launched by HTC. 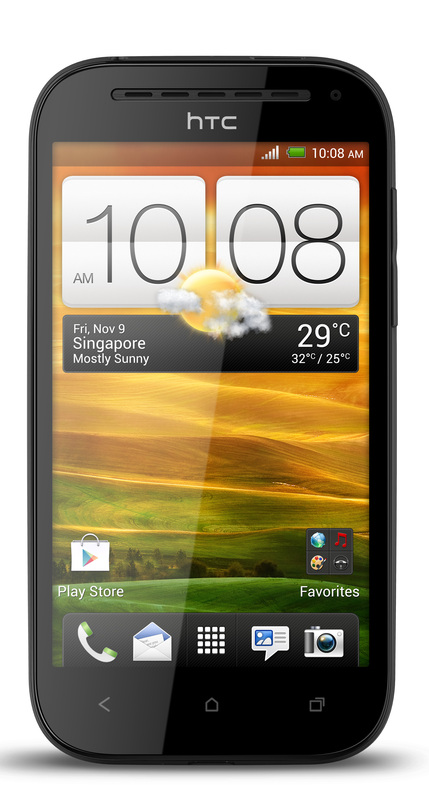 HTC One SV is quite a good competitor to HTC’s flagship phone – HTC One X. Here is a detailed review of HTC One SV, from head to toe. HTC One SV is having Android OS, v4.0.4 (Ice Cream Sandwich), comparing this OS with the current phone market, this OS seems a bit more obsolete. HTC should have at least installed Android v4.1 (Jellybean) OS on this phone. It is still not known whether HTC will provide update to Android v4.1 or Android v4.2 but it’s quite likely that they will do so. I am sure that HTC is well aware about the Android fever! HTC One SV is having a dual-core 1.2 GHz processor with accelerometer, proximity, compass etc kind of sensors. The GPU, Chipset version and cumulative clock speed are still not known but are “expecting” the chipset to be Nvidia Tegra 3 and GPU to be ULP GeForce. Don’t compare this dual core 1.2GHz processor with that of mid range smartphones like Micromax Canvas 2, Xolo etc because the architect of HTC One SV’s processor will be far better than that of those phones. HTC One SV is having 8GB internal memory and 1GB RAM. Unlike HTC One X, HTC One SV supports expandable memory. You can expand the external memory to 32GB via microSD card. 8GB internal memory is actually quite good, it’s enough for starters. And just in case you find it less, you can buy microSD card from ebay or any other store at cheap rates and expand it to 32GB. HTC One SV 128 x 66.9 x 9.2 mm dimensions, let’s make it easy. Its size is almost equivalent to that of HTC One X (to be précised it’s just a bit smaller). Weight of HTC One SV is 122grams, screen resolution of HTC One SV is 480 x 800 pixels and the screen size is 4.3 inches. It has got gorilla glass 2 for protection, and it has even got multitouch. HTC One SV supports beats audio too. HTC One SV supports almost all kinds of data connectivity features. HTC One SV supports 4G LTE on LTE 1800 / 2600 bands. Other data connectivity features of this phone are GPRS, EDGE, Wi-Fi, DLNA, Wi-Fi Hotspot, Bluetooth v4.0, NFC, microUSB v2.0 etc. Data connectivity features of HTC One SV are actually somewhat better than those of HTC One X. Data connectivity plays an important role in sharing the data with fellow users, so the more media(s) of exchange of data you have, the better it is. The price of HTC One SV is expected to be more than Rs.20,000 and I guess within that much budget range, it’s a good choice. If you don’t want to compromise features for quality, then you can go for phones like Canvas A116 HD etc. HTC One SV is expected to help HTC in increasing it sales, and I am sure that this phone will be a hit.